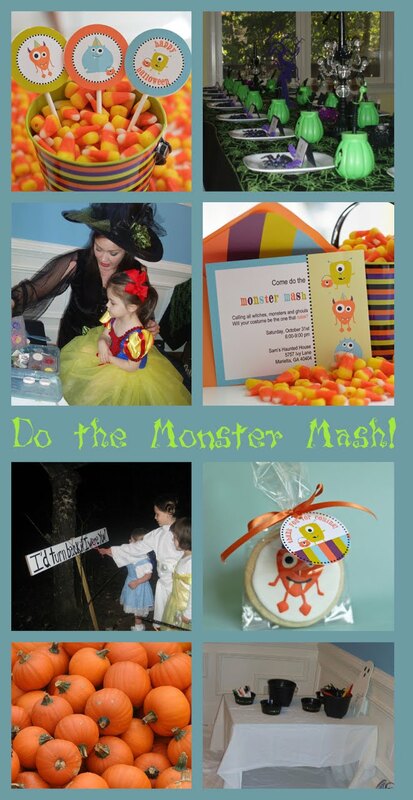 Ever think of turning your next Halloween party into a Monster Mash?? There are adorable products out now that would coordinate perfectly with a silly monster theme..... and it's cute and not so SCARY for little ones. You can find printables, cookies, stuffed monsters to decorate with.... I've been seeing them everywhere from Target, to TJ Maxx to Etsy. Courtney from Pizzazzerie has some great ideas for your little bash. 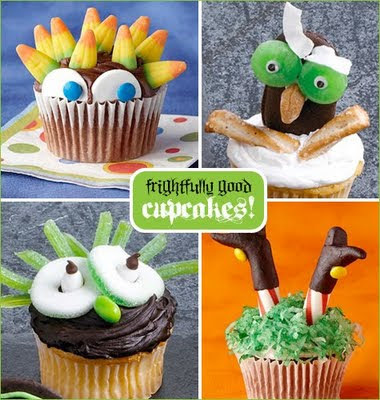 And wouldn't these cupcakes from Better Homes and Gardens be a fun treat to serve. 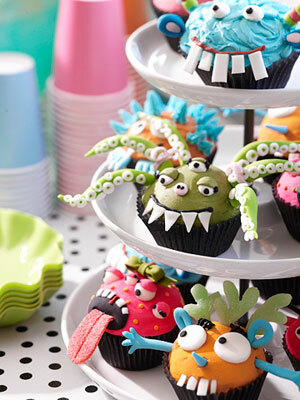 There are so many great crafts and decorations -- get inspired and throw a Monster Bash this Halloween.